We first started our day with a very delicious breakfast. 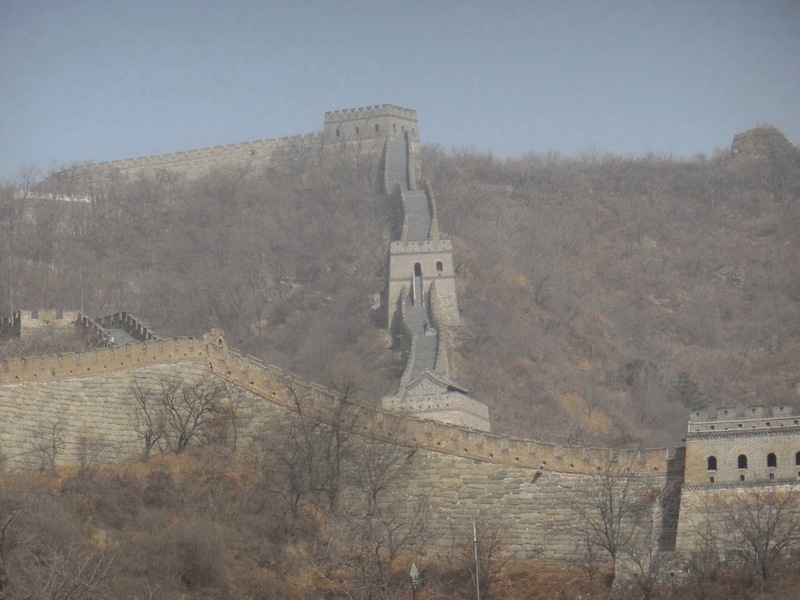 We took the bus to go to the Mutianyu section of the Great Wall [which is typically less touristy than the other Badaling section of the Wall]. Everyone had a lot of energy, so climbing the Wall was very easy! We took a lot of pictures at the top. We then took a toboggan [luge-type] to go down. It was very fast! We then had some time to buy some things. Bargaining here is very important! Some people bought hats, and some people bought fridge magnets. 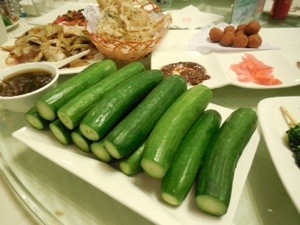 We had lunch at a restaurant specializing in Beijing countryside cuisine. 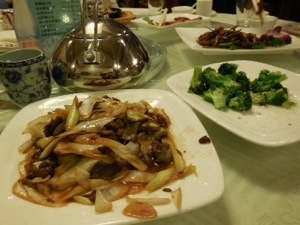 Everyone thought the Chinese food we’ve had is very delicious, and is better than American Chinese food! We then went to 798, which is a contemporary art zone. Some people bought postcards here. Then, we went to see an acrobatics show. It was very interesting! After the show we went to eat dinner. 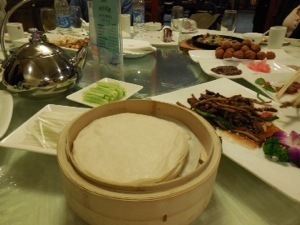 Tonight’s dinner was Peking duck, which is my favorite food in China! The guide taught us how to fold the duck pancake. Tomorrow we are going to the Forbidden City, the Temple of Heaven, and a traditional Hutong [alleys with traditional courtyard residences]. Tomorrow will also have delicious food. 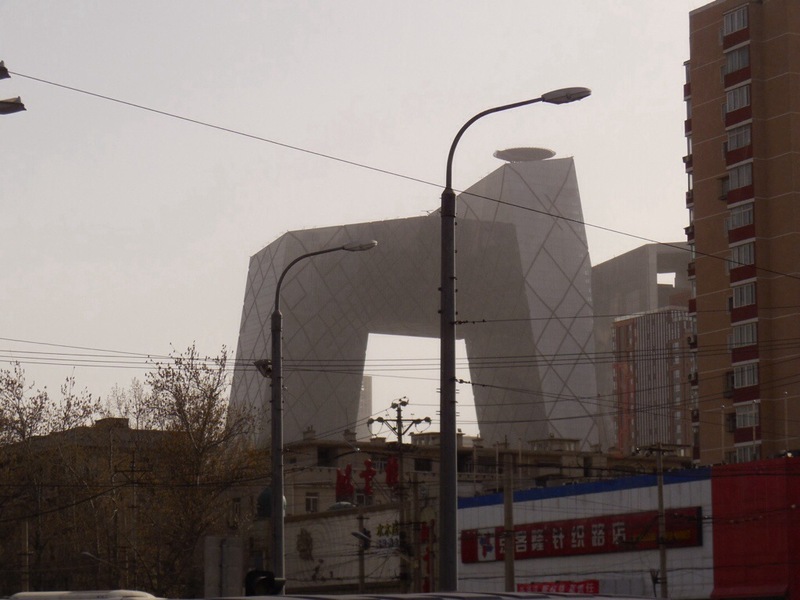 The fun never stops in Beijing! We are something called a pot sticker as part of our dinner last night. It’s a kind of dumpling, but it is fried by laying the dough on the pan and filling it with vegetables and lemongrass (to give it that tangy flavor). It is served with a traditional sweet and sour sauce. Other dishes feature at last night’s dinner were: Chicken with spring onions (everyone’s favorite), hot and spicy beef, vegetable sprig rolls, and sautéed noodles. Stay tuned for more food updates! We took a bus from Beijing International Airport to our hotel. The hotel is very pretty and clean! We rested for a little while. Afterwards, we went to eat dinner at a restaurant serving cuisine. Everyone was very hungry. 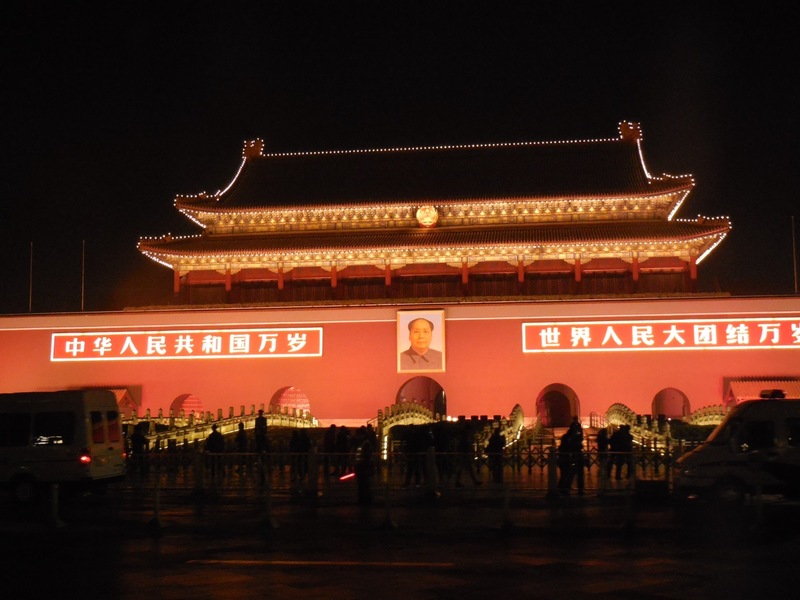 Then, we went to see Tiananmen Square. The guide showed us the Great Hall of the People. Everyone is very tired. I am going to go to sleep now. Tomorrow, we will see the Great Wall! See you tomorrow! I am on the plane writing this post. We took off from New York 8 hours ago. We now have 6 hours to go until we land in Beijing’s Capital International Airport. The plane ride is not bad. Some people are sleeping, some people are listening to music, and some people are watching a movie. There is also another school from New York on the plane. On our trip, we have 12 students and 3 teachers. We will meet another 2-3 teachers in Beijing. We will arrive in Beijing at 3:00pm. We will collect our luggage and put it in the bus. Afterwards, we will take a bus to go to our hotel. We will spend some time relaxing in our rooms. 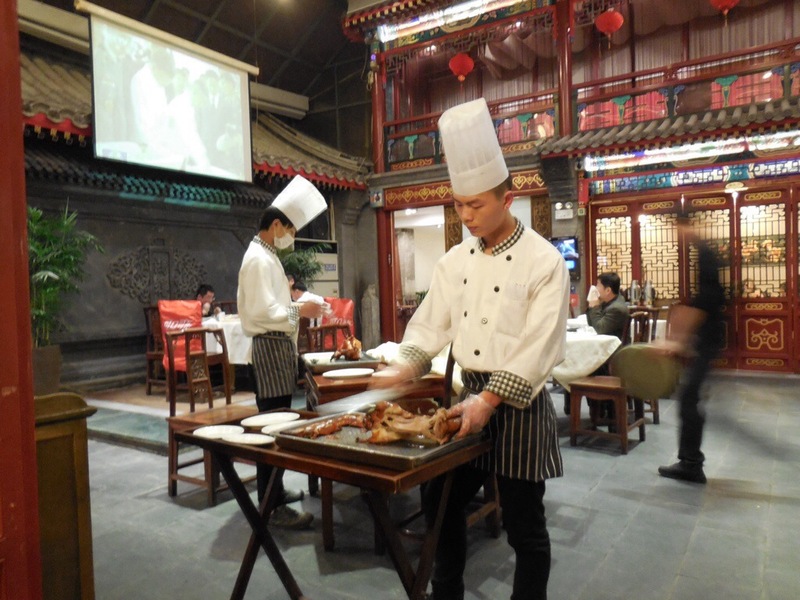 Tonight we will go to a restaurant featuring cuisine from Yunnan province. 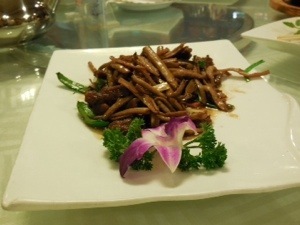 I like Yunnan food-it is spicy but a little light in flavor. Chinese cuisine has many flavors. 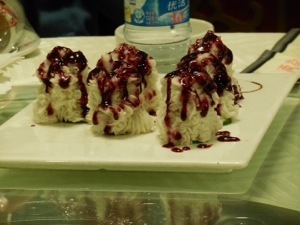 “Native” Shanghai food is usually sweet. Food from Sichuan and Hunan provinces are quite spicy. Food from Guangdong province is light in flavor. On this blog, you will be able to read posts in both English and in Chinese. Posts will sometimes be written by other people. I’m going to go to sleep now. We are all really excited to land in Beijing! See you soon! We said our last goodbyes to people at school and are now on the bus to Newark Aiprort. Our flight to Beijing will depart at 1:00pm. 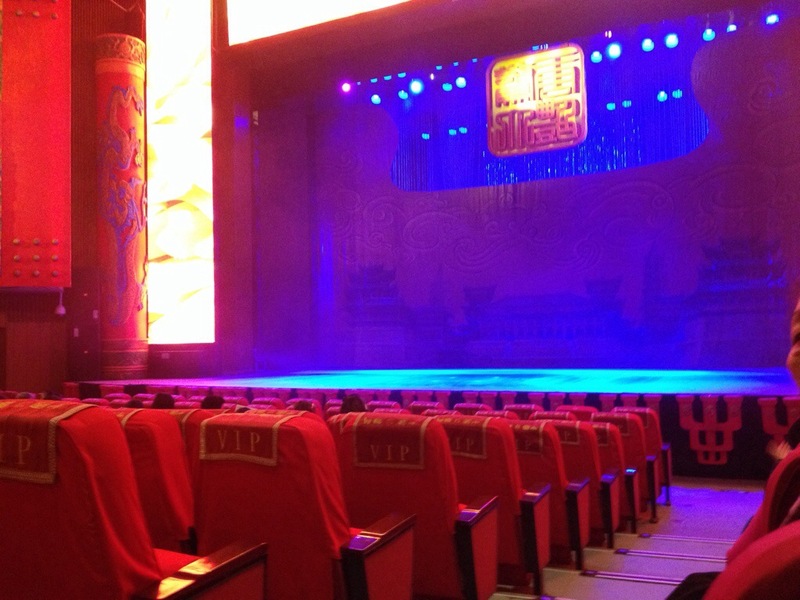 Welcome to the Benjy in China trip blog! 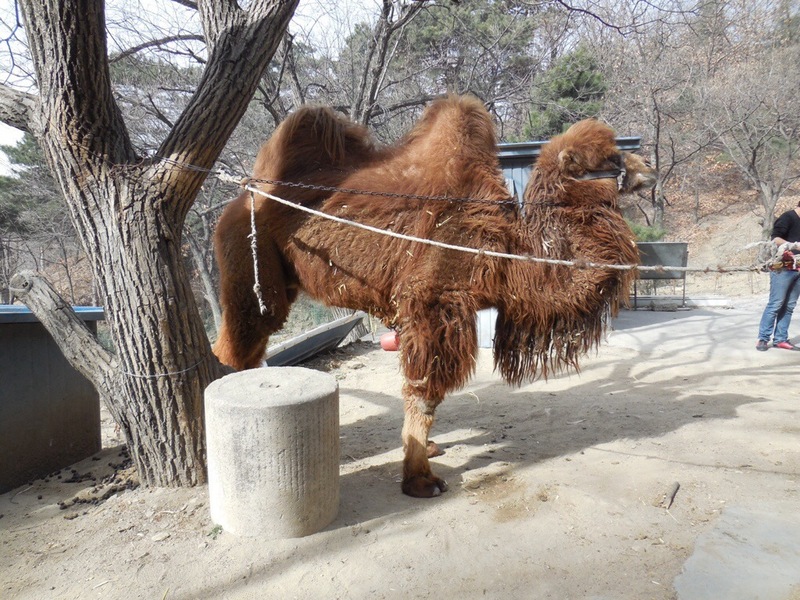 This is a website which will provide you with updates as our trip progresses. Be sure to click the ‘Follow this Blog’ button on the bottom. By doing so, you will receive emails every time a new post is added. 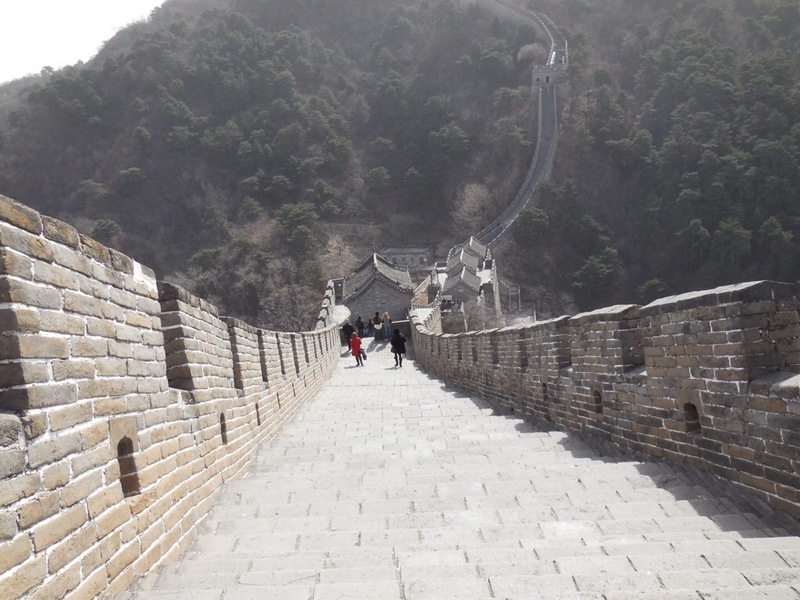 Posts will be written most days of the trip, offering their reflections and perspectives on our experiences with the Chinese language, history, culture and food! Most posts will include pictures from the day’s activities.